"My son Dan and his girlfriend Katherine met at Durham uni 3 years ago. They were actually born on the same day 18th January they celebrated their 21st birthday. 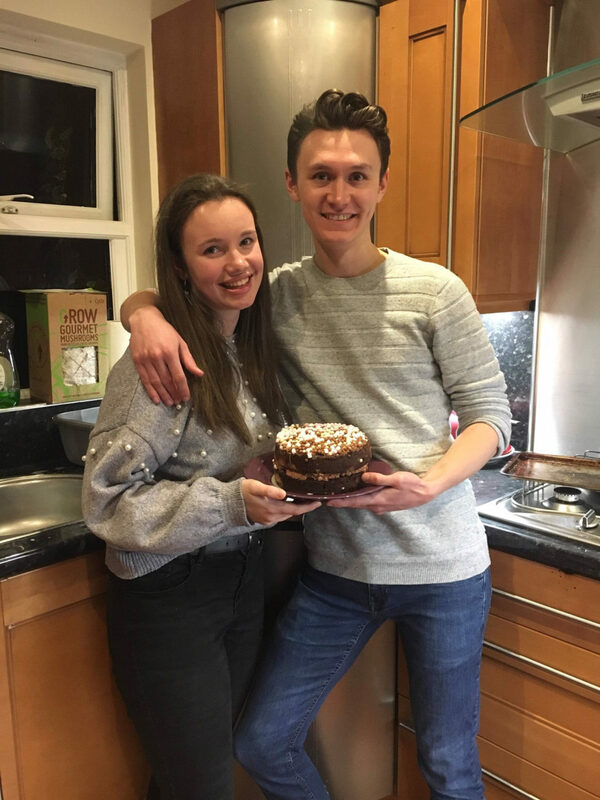 Katherine is studying in France but she secretly travelled back to UK so that they could celebrate together  Dan was totally shocked! We give a Super Sharing Sponge away each month to the best Sponge Moment! Send your Sponge Moments to us by email, Twitter, Facebook or Instagram and you could be in with a chance of winning!